There's no place like the Home Show! Welcome to the Lower Cape Home and Garden Show, bringing Cape Cod area homeowners together with top remodeling, building, garden experts and lifestyle experts. Every aspect of the home can be explored, from the smallest design detail to the largest house addition. Professionals will share their valuable knowledge to bring your ideas to life or inspire you with new ones. 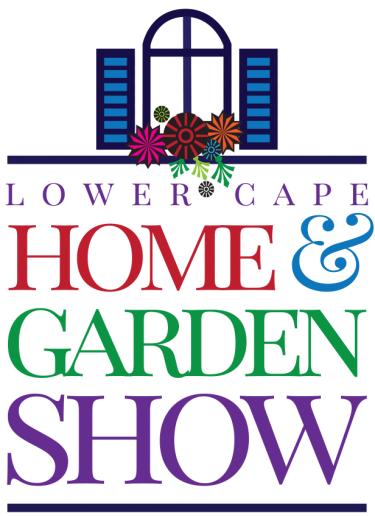 It all happens April 6, 2019, so make plans to visit the Cape Cod Regional Technical High School for the Lower Cape Home and Garden Show. This event will put you on the path toward making your dream home a reality! The Show is produced by the Lower Cape Chambers of Commerce; Brewster, Chatham, Eastham, Harwich, and Orleans. Together these local chambers of commerce have brought you a show you won’t want to miss! Anne Firth is a certified Master Gardener and active member of the Master Gardeners Association of Cape Cod since 1990, and has been a member of the speakers bureau since that time. She is involved in the production of the “Cape Cod Gardening through the Seasons” television series viewed on local channel 17. She will deliver three separate presentations during at the Home and Garden Show. How to grow these beautiful flowering plants from tubers and corms to enhance your gardens, containers and cut flower bouquets. 12:30- Growing Family Favorite Vegetables. Anne has picked a few vegetables that your family will love and will discuss the best ways to grow them. 2:00 – Creative gardening tips and tricks. Whether you are an experienced gardener or new to the art, you’re never to old to learn a few new tricks!